On a beautiful location, not far from famous Mayrhofen, is the detached chalet Johanna. The location, within walking distance of the ski bus and the ski lift, is perfect. 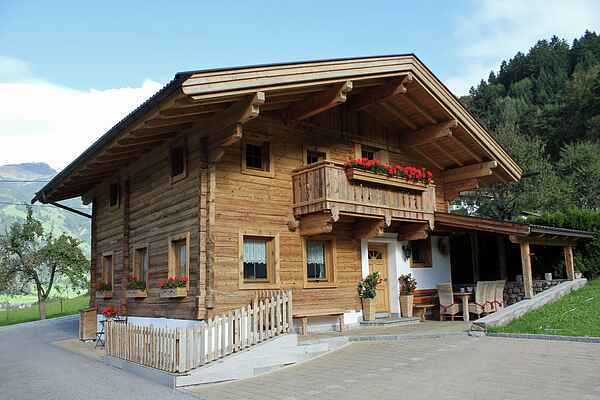 You have the chalet, in the Tyrolean style, all to yourself - privacy guaranteed! The interior is cared for and tastefully decorated by the owner. The chalet has a nice, sunny, south-facing terrace with a breathtaking view of the surrounding mountains. All within a very nice chalet near the most famous village in the Ziller valley, Mayrhofen!